Founded in 2002, EcoEquitable Inc. (EE) is an award-winning sewing-based charity and social enterprise that provides a bridge to social and economic integration for low-income women, particularly immigrants and newcomers, while at the same time greening the community. They envision an inclusive and sustainable society where all people can realize their full potential. As a social enterprise, we understand the challenges of running a business and remaining true to your social purpose. As a member of the EE board, I wanted to help the organization develop a strategic business plan so they could continue to be a strong voice for marginalized women in Ottawa. It was time to take a look at all the programs they offer to determine if they still made good economic sense or needed to change. Building on the work EE had already done in this area, I wanted to help them evaluate their strategy and make important decisions about the future. My focus is running businesses and I wanted to use the skills I use running MediaStyle to ensure EE is planning for the future of the charity. Regular business planning is an important part of any business, it’s the road map that keeps you focused on your goals and social enterprise purpose. 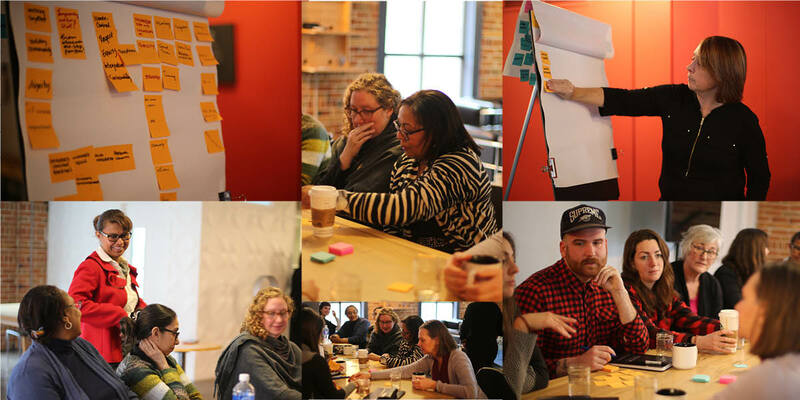 Using the Business Model Canvas for not-for-profits, we helped the EE board and staff develop a strategic mission statement and plan for the next few years.